Your favorite characters from the Super Mario Bros. universe are now cuddly plush! Blue Toad is featured in his iconic outfit and measures about 8-inches tall. 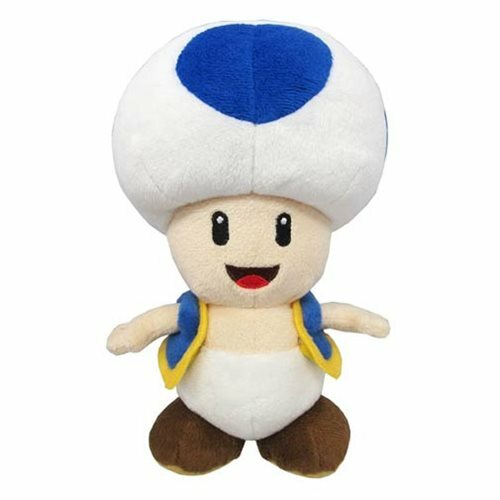 This Super Mario Bros. Blue Toad 8-Inch Plush comes packaged with a hangtag in a polybag. Ages 7 and up.